We have a dedicated board of directors with vast and varied experience from law to corporate development to non-profit management. The board and staff work closely together to create organizational policy, sound financial stewardship and to ensure Volunteer Toronto fulfills its mission. 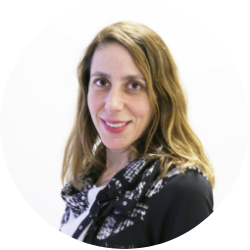 An executive leader in non-profit management, Dana has worked with leading organizations like WE, GS1 and Amnesty International to support social good. Her longstanding commitment to volunteerism has included volunteering at refugee shelters in Canada and orphanages in central Africa, working with children with special needs and supporting events, including YWCA Toronto’s Women of Distinction Awards. A recipient of the University of Toronto’s Fellowship Award for Non-Profit Managers, she currently works as a senior leader in Corporate Strategy and has BA from Carleton University and an MBA from the Rotman School of Management. Dana believes that donating your time and efforts are good for both yourself and the community. Maryann has a deep love for Toronto, which for her is a collective of distinct and vibrant neighbourhoods. Joining Volunteer Toronto’s Board was a way to support the efforts of local initiatives that keep these neighbourhoods going. Maryann has been a lifelong volunteer within her neighbourhood community, local sports teams, school councils and community fundraising events. As the Executive Director of OACCPP, an association for mental health professionals, Maryann has experience with all aspects of governance and management of non-profit organizations. 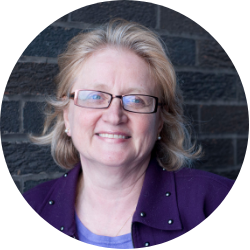 Maryann has a certificate in Non-profit and Arts Sector management from York University and is currently completing courses towards her Certificate in Association Management. Heidi became a Board member of Volunteer Toronto in 2015. 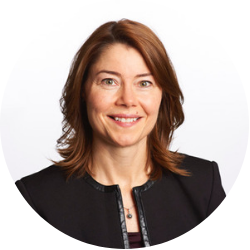 She is a partner at Norton Rose Fulbright Canada LLP, practising in securities and corporate law. 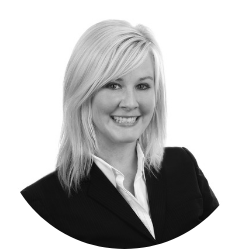 Heidi completed her undergrad degree at the University of Toronto and her law degree at the University of Windsor. Heidi has previously volunteered at the K-W Humane Society, the Hospital for Sick Children and as a caseworker and group advisor at Community Legal Aid (Windsor). She is proud of the important work done by Volunteer Toronto and the valuable role it plays in our community. 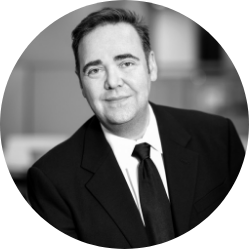 Eric has international experience with Canadian, American, and British Banks in Commercial Banking Sales, Operations, Compliance & AML, and Finance. With Master's degrees in both Law and Business, he understands the challenges facing people, process and technology from multiple perspectives. Part of that experience has been seeing the power of volunteerism in many different communities. After his return from working abroad, Eric has continued his own volunteer activities and looks forward to working with Volunteer Toronto to expand the opportunities for others to both participate, and benefit from, the volunteer community in Toronto. Colin is committed to improving the climate of inclusiveness in Canadian workplaces and bringing down barriers to employment for queer, trans, and 2S people. 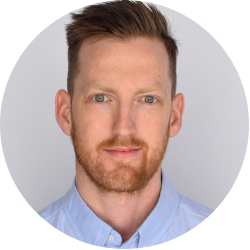 He currently sits on the National Advisory Committee for onBoard Canada and as Executive Director of Pride at Work Canada, he maintains operational accountability for the delivery of the organization’s national strategy, programs, and initiatives. Colin credits much of his career development to his volunteer work with the Inside Out Toronto LGBT Film & Video Festival, the Toronto People with AIDS Foundation, and the services provided by Volunteer Toronto. He strongly believes that access to well-developed volunteer opportunities can provide those seeking work with the skills and experience they need to stand out in today's competitive job market. A long-time believer in the importance of contributing time and money to worthy causes, Sarah joins the board in 2018, bringing her law and HR background, as well as many years of volunteer experience, both locally and abroad, and both personally and in corporate settings. Sarah is a proud citizen of Toronto and believes that anyone with the inclination can and should give back to our great city because it feels great and makes a difference! Currently an independent HR consultant, she is delighted to join the VT Board where she can learn more about volunteerism in Toronto, develop her and others’ skills, and support the performance and growth of the organization. Danielle is passionate about people – the power of volunteers and team members – and the role they, and all stakeholders, play in bringing about change. An active volunteer in her personal life, Danielle strongly believes in the need to engage volunteers in meaningful opportunities that not only resonate for them but also create lasting social impact in multiple areas. With a Master’s degree in International HR Management, Danielle has 18+ years of experience in HR leadership and strategy, Governance and Volunteer Programs. She has focused her efforts on developing people-centred programs that maximize the stakeholder experience. 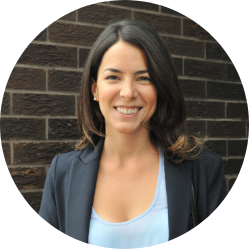 Danielle is excited to join the Board of Volunteer Toronto in its journey to provide and promote meaningful volunteer opportunities that translate into stronger communities for everyone. Gerry joined the Board of Directors in 2017. Gerry was awarded the 2019 Governor General of Canada Sovereign Medal for Volunteers in respect of his CESO (Canadian Executive Service Organization) volunteer work in the Philippines. Gerry was recognized with a 2016 Volunteer Toronto Legacy Award in respect of his Employment Workshop for more than 1,800 new arrivals from Ireland. 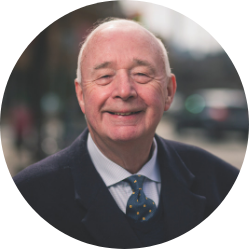 Gerry is a past member of the Board of Directors, The Toronto Region Board of Trade. He has held senior management positions as Director and Company Secretary, Canada Starch Company Inc.; Assistant Vice-President, Business Integration, Sun Life Assurance Company of Canada. He is currently President, Blackrock Corporate Services, a private company he founded in 2003. Gerry is Chairman, Independent Review Committee (“IRC”) Fiera Closed-end Funds Canada. Charlene is passionate about encouraging volunteerism in her community. Having formerly served on the Board of Directors of the Kitchener Waterloo Volunteer Action Centre, Charlene recognizes the power of volunteerism and the importance of the non-profit sector in building strong and resilient communities. 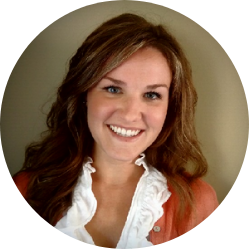 She currently works in Government Affairs for Scotiabank and holds an MBA from Wilfrid Laurier University. Charlene is excited to work with the team at Volunteer Toronto and contribute to the success of the organization. A long-time volunteer in the areas of mental health, community outreach and adult literacy, Mack, the Executive of ABC Life Literacy Canada, wants to give back to the sector that he believes has given so much to him. 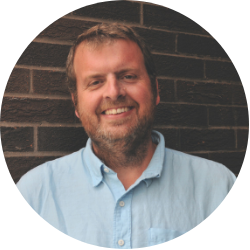 His most vivid volunteer experiences include participating in the Toronto Homeless Survey and the career changing experience of volunteering as a tutor at St. Christopher House. He is happy to continue his volunteer journey on the Board where he is excited to grow personally and professionally. Like many non-profits, Volunteer Toronto has a network of individuals and organizations that help guide our strategic direction by electing our board of directors, reviewing financial statements, and approving fundamental changes to the organization. Each year, we invite members of our community to consider signing up as voting members as a way of becoming more involved in our work.